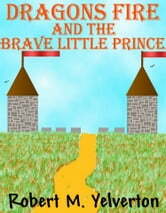 A Childrens Fairy Tale/Bed Time Story. In the land of the Long Ago Little Kingdom a dragon is loose, the Queen is missing, 200 Knights are gone, and the Brave Little Prince goes on his own. Family Loved.